A detailed Wartime Army Costume including Jacket (with Medal), Tie, Trousers, Belt and Beret, perfect for Film/Uniform fancy dress! A stand out fancy dress choice; this Wartime Army Costume is ideal for Uniform/Wartime/Decade themed fancy dress themes! The costume includes Jacket (with Medal), Tie, Trousers, Belt and Beret. 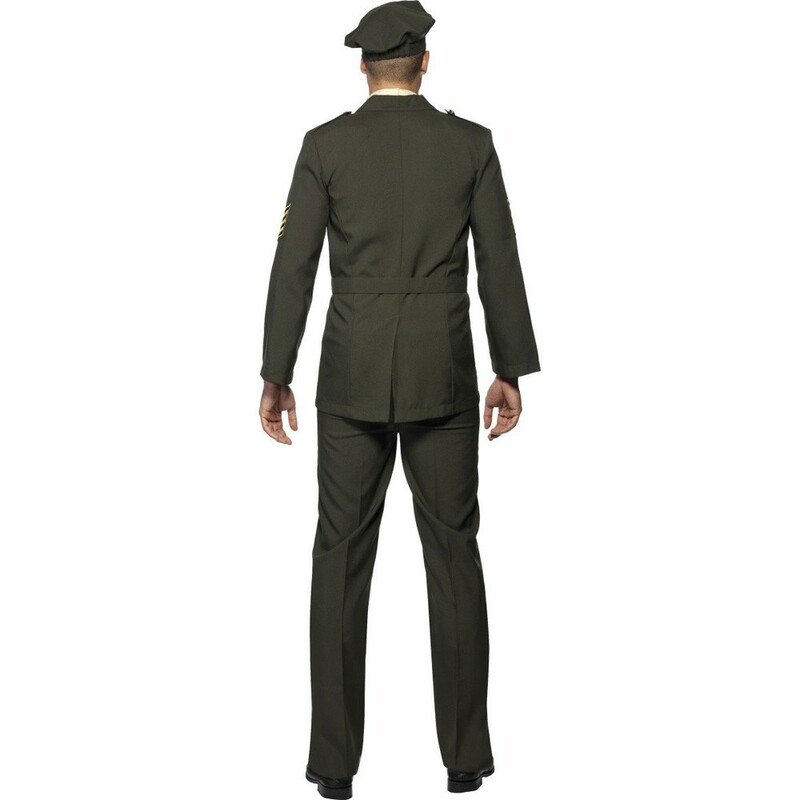 The khaki jacket has lots of attention to detail; with gold buttons down the middle, two pockets on the chest area, and epaulettes on the shoulders and a black & gold arrow badge on both arms. The jacket also has an attached blue, red and white stars and stripes medal. A khaki tie, a pair of full length trousers and a belt which goes around the waist is also included. 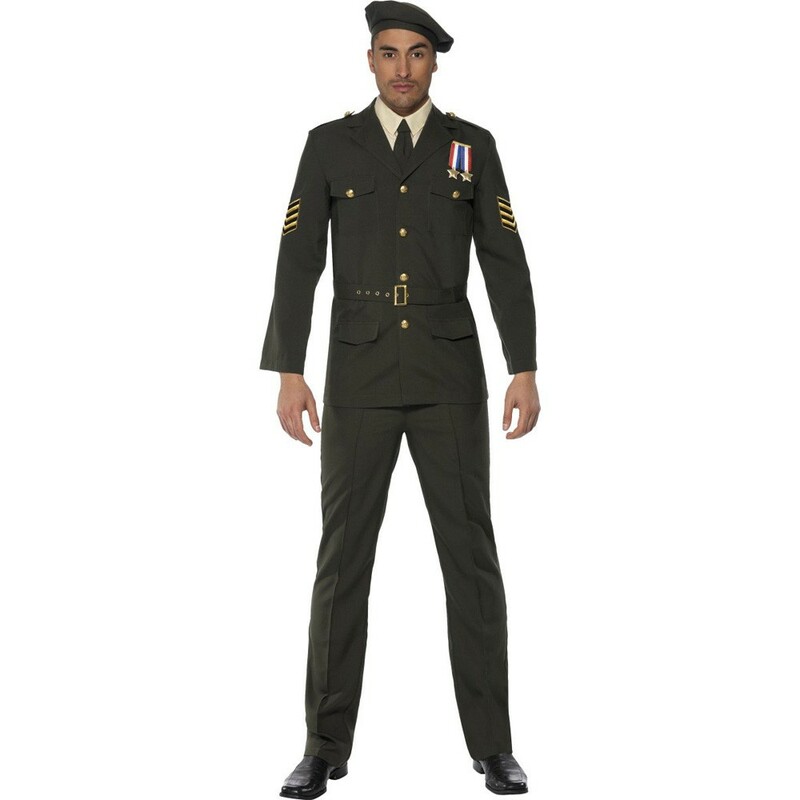 A soft khaki beret completes this handsome Wartime Army Costume! 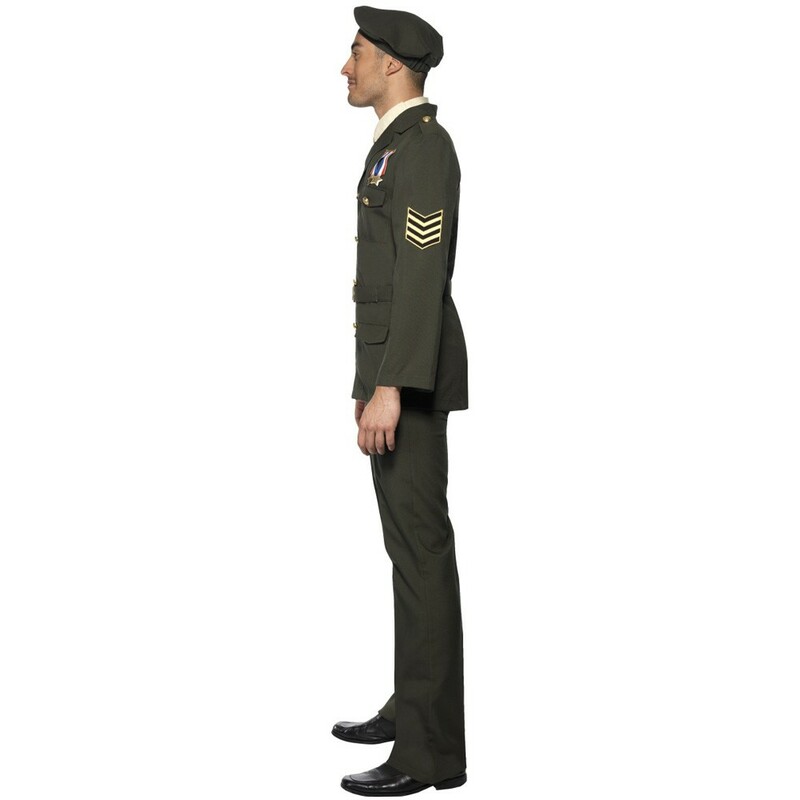 This Wartime Army Costume is a great choice for any Uniform or Film themed fancy dress occasion, also a great couple’s costume when partnered with the Wartime Army Woman Costume (sold separately). Wartime Army Costume including Jacket (with Medal), Tie, Trousers, Belt and Beret.